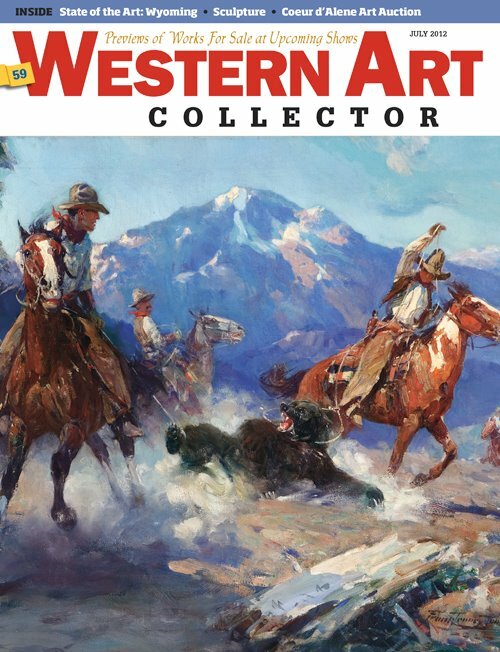 Recently Kelly Lydick, Assistant Editor of Western Art Collector interviewed The Society of Animal Artists Art and the Animal Curator and Tour Director Dr. David J. Wagner. This is a great opportunity to see what happens behind the scenes of this prestigious annual exhibition. What follows are the questions and answers form the interview between Kelly Lydich and Dr. David Wagner. The annual exhibition and tour venues list follows after the interview. 1. As the Tour Director, what is the most exciting part of your role in the annual event? 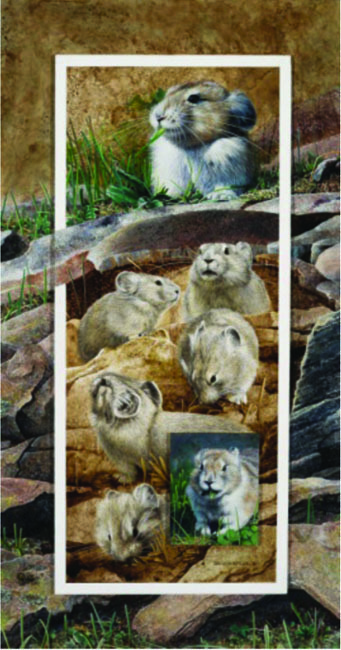 The Annual Exhibition is juried by leading members of the Society of Animal Artists each year in New York City. But I get to select the artworks that will tour the nation in the ART AND THE ANIMAL tour. That essential means that I get to choose the best of the best. 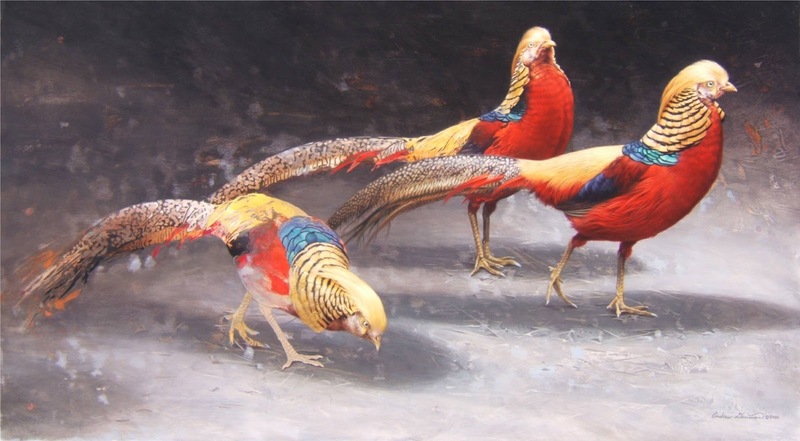 Though I admit that there may be a tinge of pride at work here, I have always felt that the ART AND THE ANIMAL tour is higher in quality than the SAA Annual Exhibition, because it is ultra-refined. In other words, it is both juried and curated. And I get to play the role of the curator. 2. What informs your choices for locations for the Tour? How are the locations chosen/determined? Several criteria factor into the selection of tour venues and orchestration of the tour itinerary. Our venues are not pseudo museums or commercial galleries or conference centers, but real museums generally accredited by the American Association of Museums. To be accredited by the AAM, museums must maintain the absolute highest professional standards of excellence. 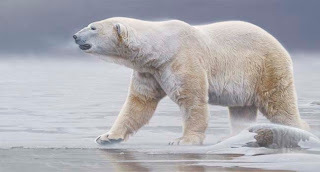 In addition, ART AND THE ANIMAL tour venues in any given year are diverse: that is, they include public and private art museums, natural history museums, and general museums, and occasionally art and nature centers and zoos. In addition, I strive for broad geographical exposure in multiple states. 3. What in particular is unique about this year’s Tour compared with years past? 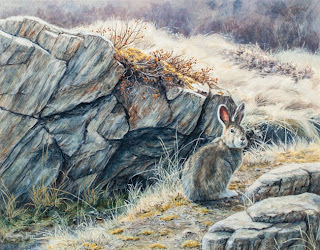 This year, the Society’s 52nd Annual Exhibition is being hosted by The Hiram Blauvelt Art Museum in Oradell, New Jersey, an affluent bedroom community of the greater New York metropolitan area located a mere 15 miles from mid-town Manhattan, whose residents once included wildlife artist, Charles Livingston Bull (1874 - 1932). 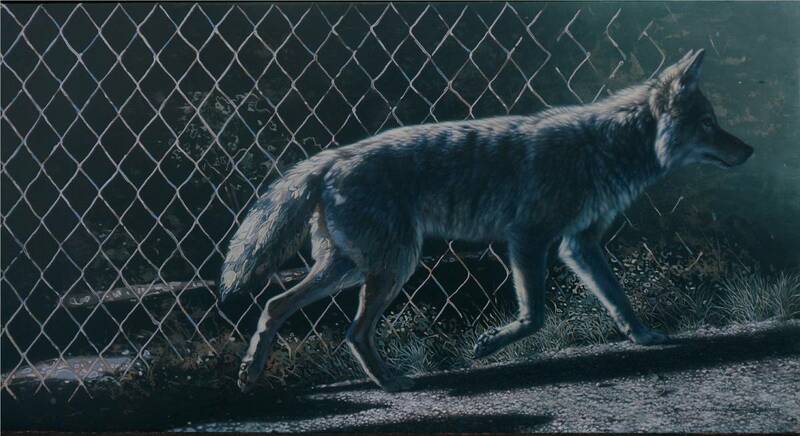 This marks the third time that The Blauvelt has hosted The Annual Exhibition of The Society of Animal Artists. 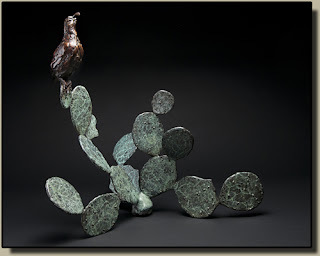 Following the exhibit’s premiere, forty-five flatworks and fifteen sculptures will tour under the title, ART AND THE ANIMAL, to three subsequent venues: The Art Museum at The University of Kentucky in Lexington; the Kenosha Public Museum in Wisconsin; and The Charles H. MacNider Art Museum in Mason City, Iowa. This is the first time that the exhibit has been displayed in the Bluegrass State of Kentucky, the state where I was born. As a special tribute, ART AND THE ANIMAL will be augmented at The Art Museum at The University of Kentucky in Lexingtonwith a special selection I have made of equine paintings and sculptures by Tom Altenburg, Anita Baarns, Jean Cook, Beth Parcell Evans, Terry Miller, Fay Moore, Marilyn Newmark, Kathleen Ryan, Francis E. Sweet, Kay Witherspoon, and Jan Woods. ART AND THE ANIMAL travels next to the Kenosha Public Museum, located mid-way between Chicago and Milwaukee, with over 70,000 artifacts including nearly 1,000 works of fine art. The museum also houses the Carthage Institute of Paleontology and The Dinosaur Discovery Museum, which focuses on the link between meat eating dinosaurs and birds. The Charles H. MacNider Museum, is a museum known for the quality of its American art collection. 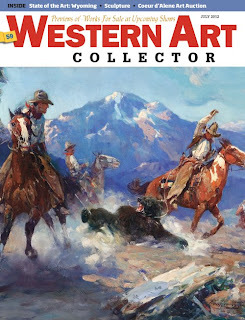 It contains excellent examples of work by some of the best known American artists of the 19th and 20th centuries including Arthur Dove, Thomas Hart Benton, John Matin, A. T. Bricher, Stephen deStaebler, Jasper Cropsey, Grant Wood, George Bellows, Henriette Wyeth, Nathan Oliveira, John Sloan, Maricio Lasansky, Morris Graves, Maria Martinet, G. P. A. Healey, Jack Levine, Toshiko Takeazu, Paul Soldner, Philip Guston, Sam Francis, Aaron Bohrod, among others. 4. Is there anything else you would like readers to know about this year’s tour…? 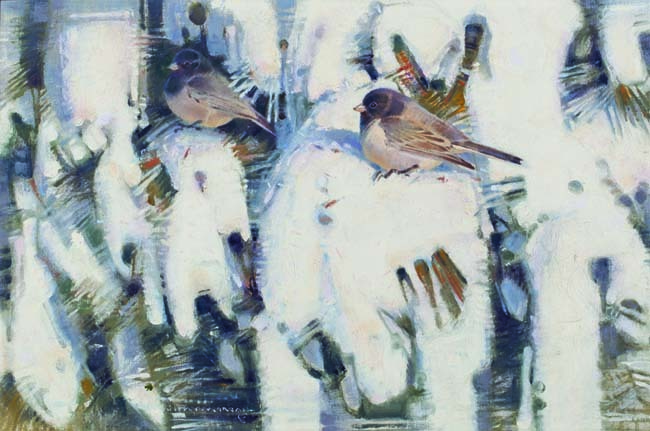 Since 1988, when Society of Animal Artists Vice President, Guy Coheleach recruited me as SAA Tour Director after I served as Director of the Leigh Yawkey Woodson Art Museum from 1977 - 1987, SAA exhibitions have been displayed some 85 times throughout the United States, with approximately 70% of hosting venues having been art museums or general museums that have included art as a central dimension of their core mission, with the remainder being natural history or nature-based institutions. This year's tour itinerary falls squarely within that tradition.The Hiram Blauvelt Art Museum, The Art Museum at The University of Kentucky, The Kenosha Public Museum, and The Charles H. MacNider Art Museum, are all top-notch museums that command peer respect by museum professionals nationwide. 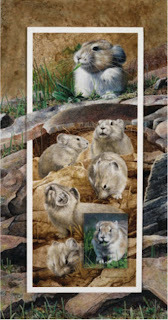 I am totally confident that any member of the Society of Animal Artists (or any other artist organization for that matter) would be proud to have their artwork displayed at any of the museums on this illustrious itinerary of museums. I know I am. of equine paintings and sculptures selected by David J. Wagner, Ph.D., Curator. 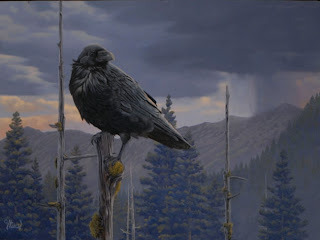 Society of Animal Artists Signature member Andrew Denman's exhibition opens in September at the Lindsay Wildlife Museum in Walnut Creek, California. Society of Animal Artists Signature member Andrew Denman announces ANDREW DENMAN: THE MODERN WILD, a museum exhibition consisting of a diverse range of paintings, drawings, and studies showcasing Denman’s unique style, a style that has brought him to the leading edge of an evolving genre. The exhibit will premiere in September, 2015 at the Lindsay Wildlife Museum in Walnut Creek (San Francisco), CA, and tour to the Arizona-Sonora Desert Museum into 2016. Additional venues are anticipated. 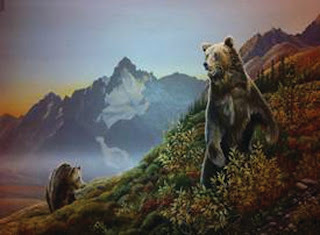 In the overly crowded and often overly conservative wildlife art genre, Denman’s cutting edge blend of hyper-realism with stylization and abstraction immediately distinguish him from his peers. The sense of fearless experimentation he brings to the easel expresses itself in a diversity of stylistic approaches and subjects, from birds to big cats, landscape, trompe le’oeil still life, the human figure, and even surrealism. “Between the drudgery of illustration and the vacuity of decoration lies the evocative; that is the province of the artist, and that is the realm to which my work belongs,” says Andrew Denman of his edgy portrayals of the natural world. “I consider myself deeply fortunate,” says the artist, to have possessed such clarity as to my life’s purpose since childhood.” At just thirty two years of age, it is that clarity of purpose, coupled with an adventurous spirit and unflagging dedication, that has already cemented Andrew Denman’s reputation amongst his peers and collectors, and which will no doubt propel him to a station of high regard amongst the next generation of great artists. 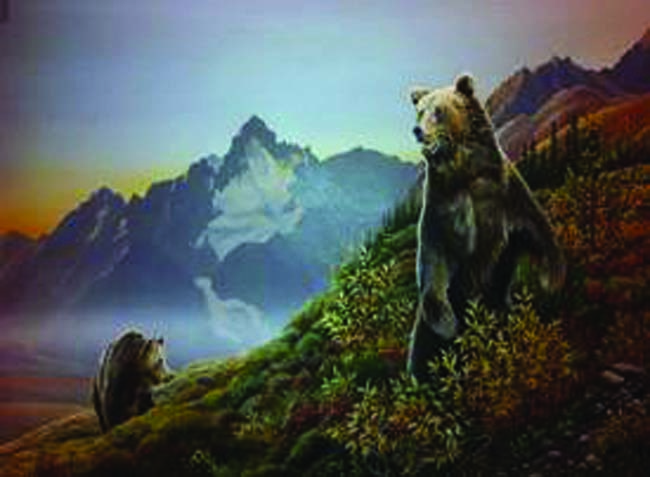 The following Society of Animal Artists are included in the CELEBRATION OF WILDLIFE ART currently hanging in Alaska at the Kenai Visitors and Cultural Center. 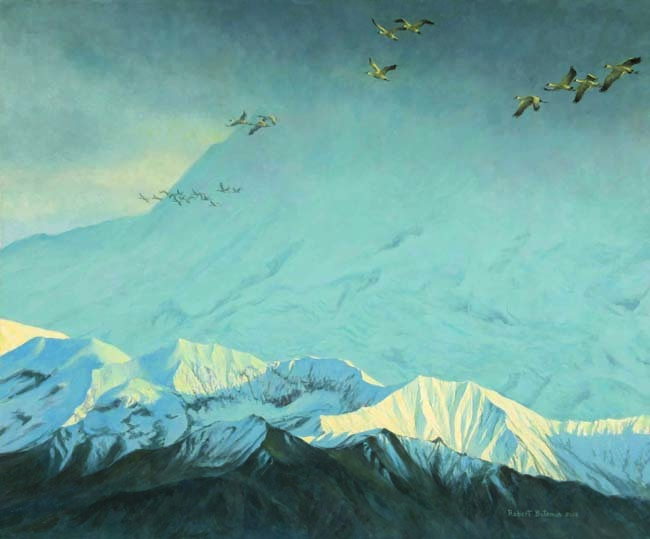 All the paintings depict Alaskan Wildlife. 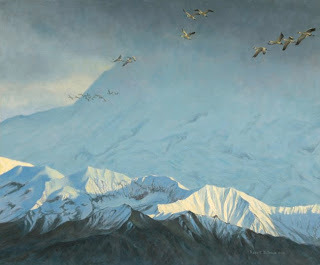 In conjunction with the display of ART AND THE ANIMAL at The Art Museum at the Singletary Center for the Arts at the University of Kentucky in Lexington from February 1 - April 26, 2013, a companion exhibition will be featured consisting of paintings and sculptures by artists who specialize in equine subject matter. Works chosen for the exhibition will have a particular thematic focus on equine sports. This mini, companion exhibition features artworks by Tom Altenburg, Anita Baarns, Jean Cook, Beth Parcell Evans, Terry Miller, Fay Moore, Marilyn Newmark, Kathleen Ryan, Francis E. Sweet, Kay Witherspoon, and Jan Woods, and is curated by Dr. David J. Wagner who previously served as Executive Director of The Kentucky Derby Museum and Curator/Tour Director for the American Academy of Equine Art. Paul comes from a family of artists and has drawn and painted his whole life. 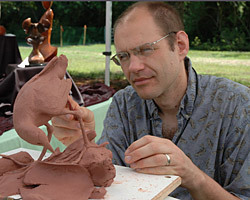 After receiving an Associate of Arts degree from a local college in 1984, he accepted a job at the Smithsonian Institution doing taxidermy and model making and retired in 2010. As a result of so much three-dimensional work in his museum job, his own personal artwork gradually began to transform from painting and drawing into sculpture. Being an avid birder, waterfowl hunter, and taxidermist gives him constant anatomy and behavioral learning experiences that inspire his sculpture. Paul’s work has been exhibited in such prestigious art shows such as the National Sculpture Society, the Society of Animal Artists and Birds in Art. 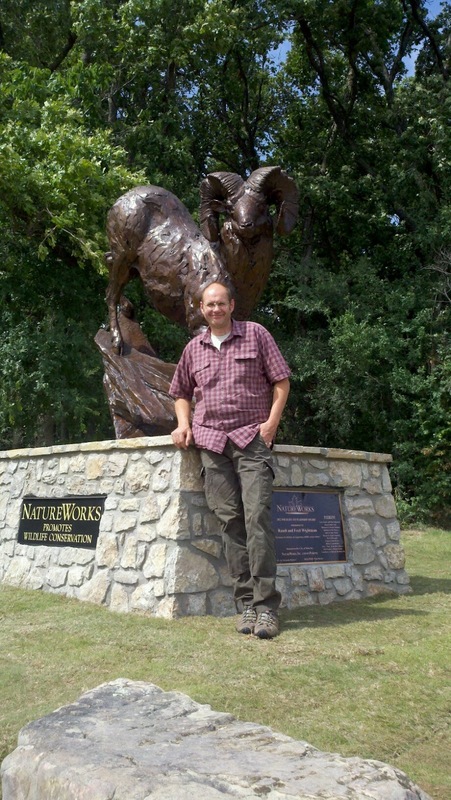 His wildlife sculpture is at the National Zoo, National Museum of Natural History, the Denver Zoo, Woodson Art Museum, Hiraim Blauvelt Museum and various public buildings and parks and private collections thought the US. 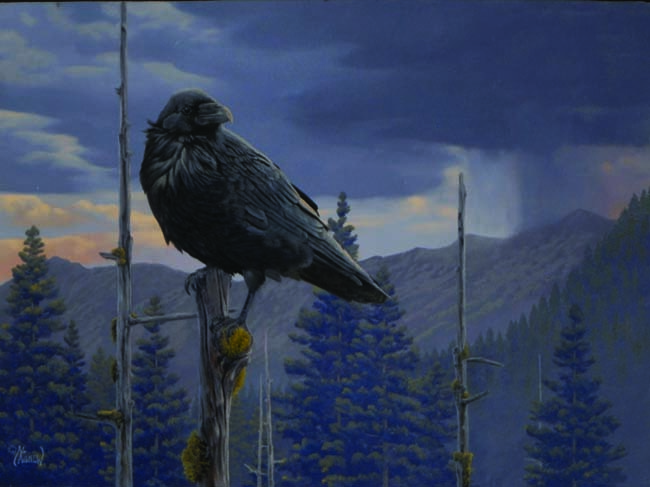 He is on the Boards of Directors for the Society of Animal Artists and the Ward Museum of Wildfowl Art. 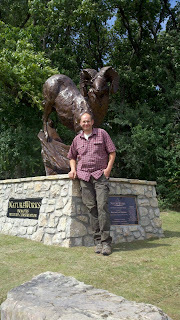 In May Paul's first monumental bronze of a bighorn sheep was installed in Tulsa, OKlahoma as part of a public art project. 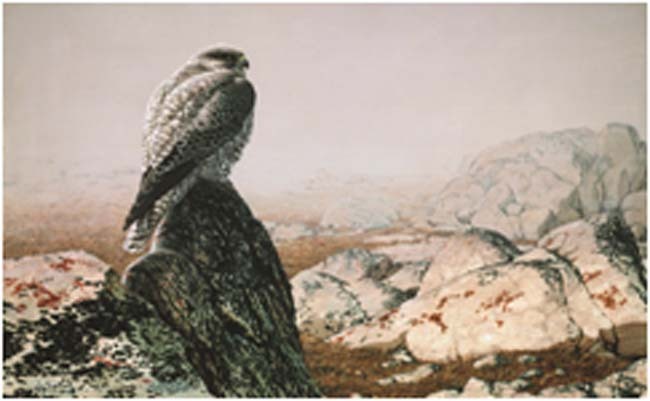 Paul was commissioned to do it by NatureWorks Wildlife Art Show after being selected from several entries.